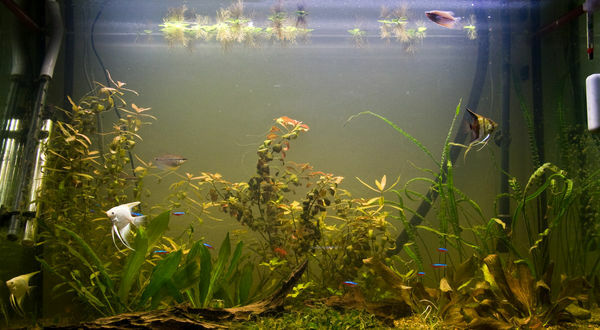 In 2004 we set up a tank mainly for my daughter, who liked watching the fish in Granny's pond. I didn't have all that much interest in it while we set it up, but once it was up and running, I was hooked. I've been through a phase of having quite a few tanks with various aquatic critters, but now I'm down to a sensible two: the original one, and a big one that's about a meter long (see picture above).